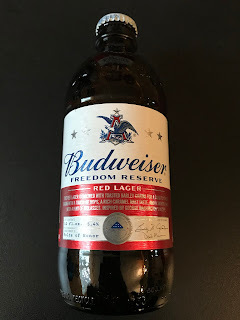 Do you love America? 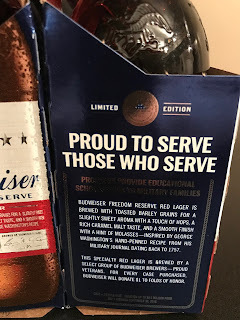 Do you love freedom? 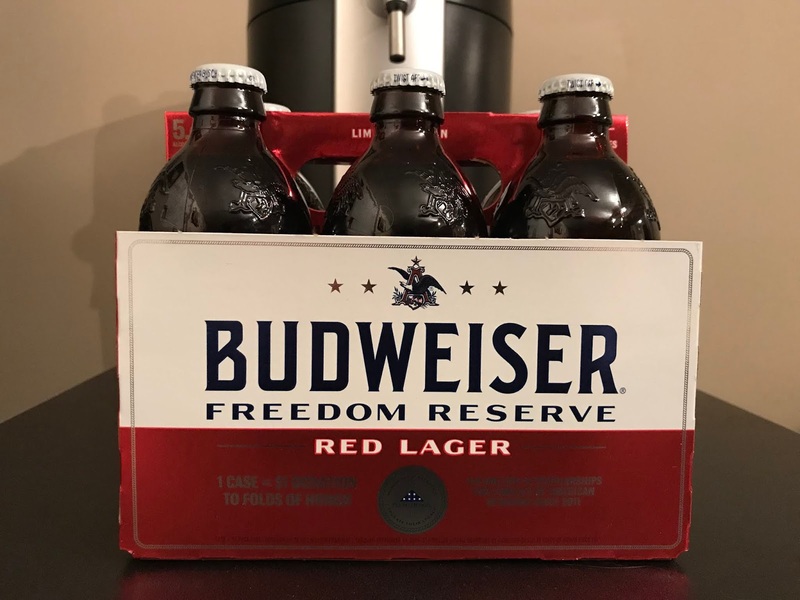 Then go ahead and celebrate America with the new Budweiser Freedom Reserve Red Lager! I know I am a little behind since on this one since we are already a week removed from Memorial Day (and yes, don't forget it was still Malt Liquor May), but I am always happy to celebrate American any time of year. 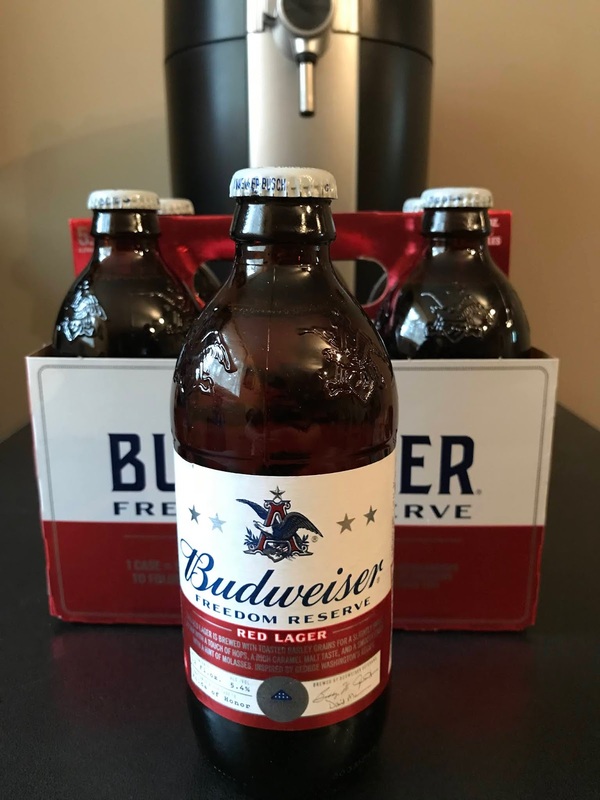 The Freedom Reserve Red Lager is the second specialty lager to appear in Budweiser's Reserve Collection ( the Budweiser 1933 Repeal Reserve Amber Lager was available for a limited time last winter) and this one is inspired by George Washington's special recipe. 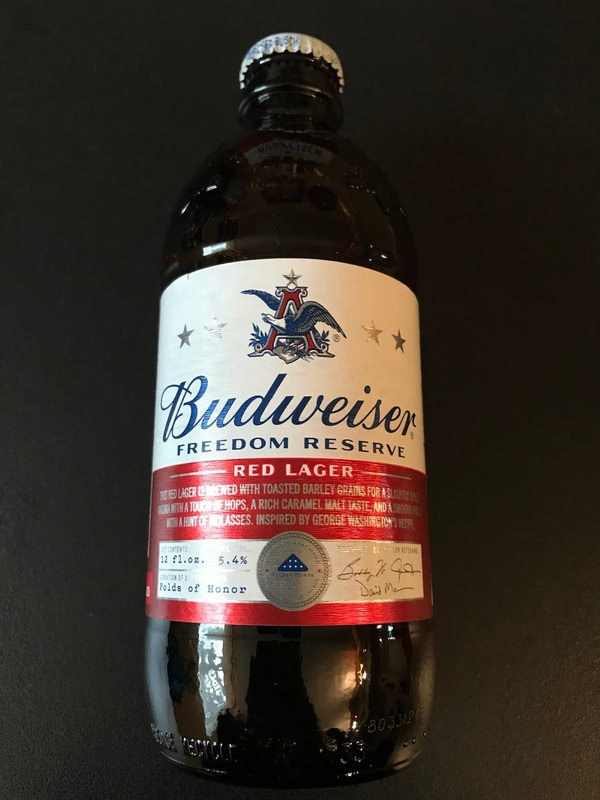 Coming in at 5.4% ABV it's at a slightly higher alcohol content than a regular Budweiser, but nothing too crazy. 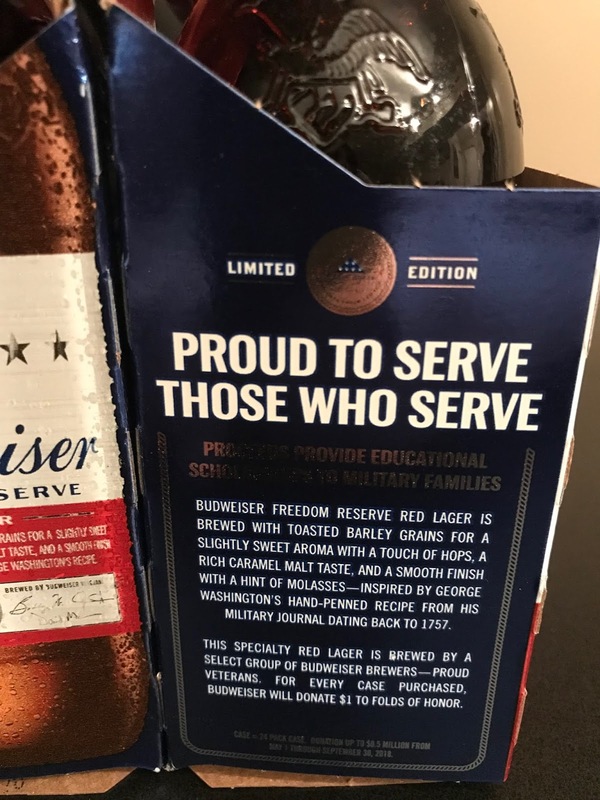 I found it to be a fairly smooth beer to drink and not too overpowering. 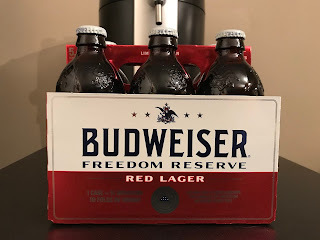 It's a good summer beer to enjoy while hanging out and getting your BBQ on.